1191. During excavation work at Glastonbury Abbey, an ancient leaden cross is discovered buried several feet below ground. Inscribed on the cross are the words: Hic iacet sepultus inclitus rex arturius... Here lies buried the renowned King Arthur. Beneath the cross are skeletal remains. Could these really be the remains of the legendary King Arthur and his queen, Guinevere? As the monks debate the implications of this extraordinary discovery, the bones disappear - spirited away by the mysterious Guardians, determined to keep the king's remains safe until the ancient legend is fulfilled and Arthur returns to protect his country in the hour of its greatest need. A missing right hand. A gang of ruthless bodysnatchers. Brother accused of killing brother. 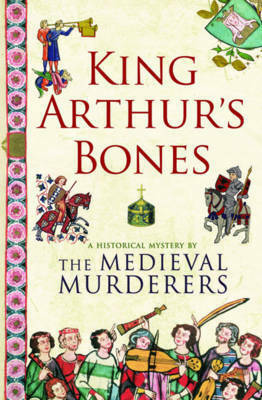 As the secret of the bones' hiding place is passed from generation to generation, those entrusted to safeguard Arthur's remains must withstand treachery, theft, blackmail and murder in order to keep the legend intact. BERNARD KNIGHT, a senior Home Office pathologist, is the author of nine books in the CROWNER JOHN series. MICHAEL JECKS is the author of the TEMPLAR series, which describes life among the Devon peasants under King Edward II. Former police officer SUSANNA GREGORY's novels feature MATTHEW BARTHOLOMEW, a Cambridge physician in the period immediately after the Black Death. Cornwall-based IAN MORSON is the author of the FALCONER series, and PHILIP GOODEN writes Shakespearean murder mysteries.